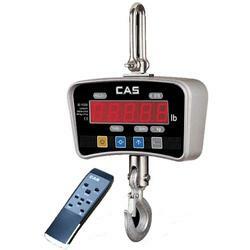 Four different heavy-duty series digital industrial crane scales: battery operated with AC adapters. 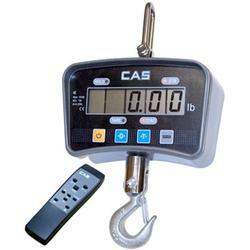 Accurate and full featured with standard wireless remote controls, the CAS line of electronic digital industrial scales will have a model to meet your specifications. Built to last with its sturdy aluminum die casting. The IE Series Crane Scale offers a compact portable design and will give you years of trouble free operation. A fully charged battery will offer up to 50 hours of use. Large 1.1 inch LCD or LED displays for easy reading from a long distance.